Here’s how the Zionists bought the Right’s silence on Israel. 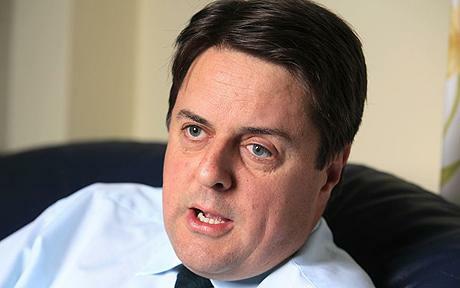 Zionist Neocons offered Nick Griffin’s BNP much-needed funding in 2007, but in return he was asked to focus on the evils of Islam and never criticize the banking system. Where they couldn’t buy off established parties, they created their own, hence giving rise to pro-Israel groups like the EDL, Britain First and Pegida. This is why all ‘new right’ parties are ardent supporters of Israel. This is why it’s highly doubtful that anything will change for the better with them in power. Comment: Since his refusal, Griffin has been castigated in UK media as a ‘Nazi’ (long before that tactic became commonplace). Assuming the gist of his claim in the above video is accurate, what does this say for the other ‘new right’ parties across the Western world who have enjoyed meteoric rises in recent years? Which one is ‘nationalist’, and which one is ‘socialist’? postmen opened his mail and photographed the contents and it was shown on conspiracy news. Robinson is a genuine English name which is why its chosen by jews Nick Robinson head of BBC news is one, so is Time Team baldrick chappie Tony Robinson. It was probably adopted (the name) by Jews because of its similarity to “Rabin”…..or Rabinowitz. Tony Robinson is of course a Jew….now Sir Tony Robinson because of his involvement with the Labour Party,which like the Tories is full of crypto Jews. They also had colours as names…Black,White,Blue,Red,Green,Gold,Silver….the latter two more connected to money.As in the name Geldof.